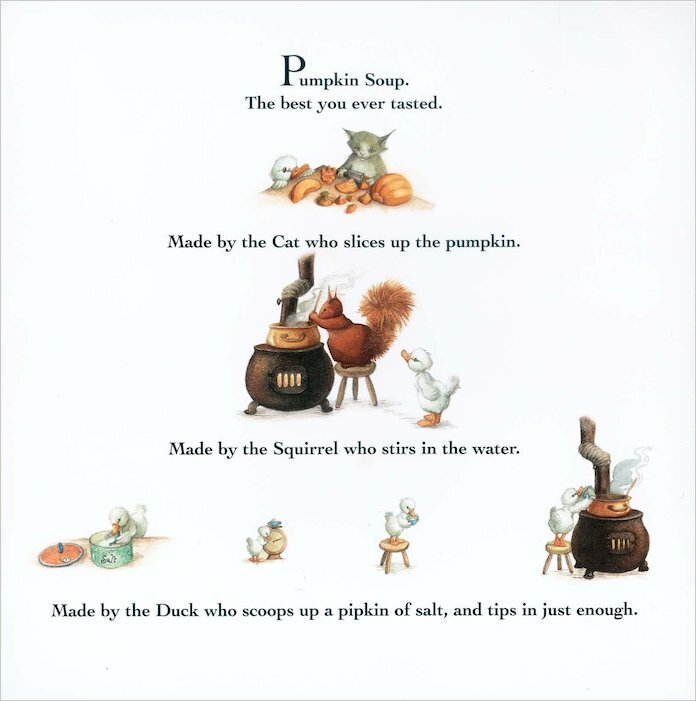 Every day Cat, Duck and Squirrel make a yummy pumpkin soup together. They always do it just the same way! 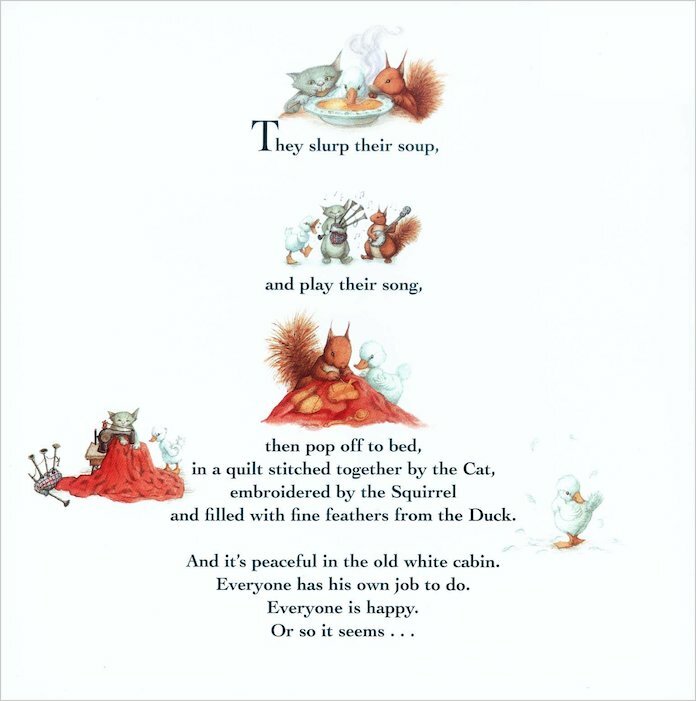 But one day Duck decides to stir things up and make the soup a different way instead! 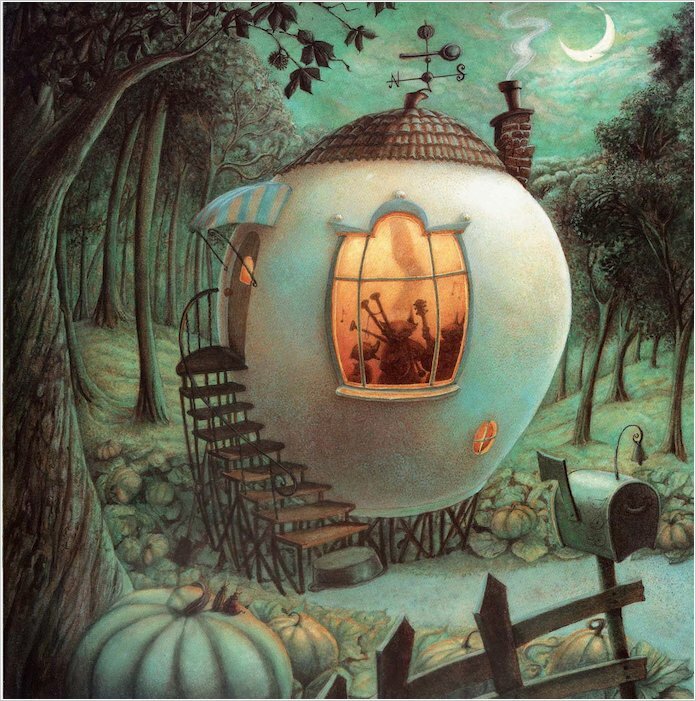 Soon the friends are squabbling, the pumpkin soup is burning, and a very cross Duck is running away… Now he’s out all alone in the dark, dark night of foxes and wolves and bears and witches. 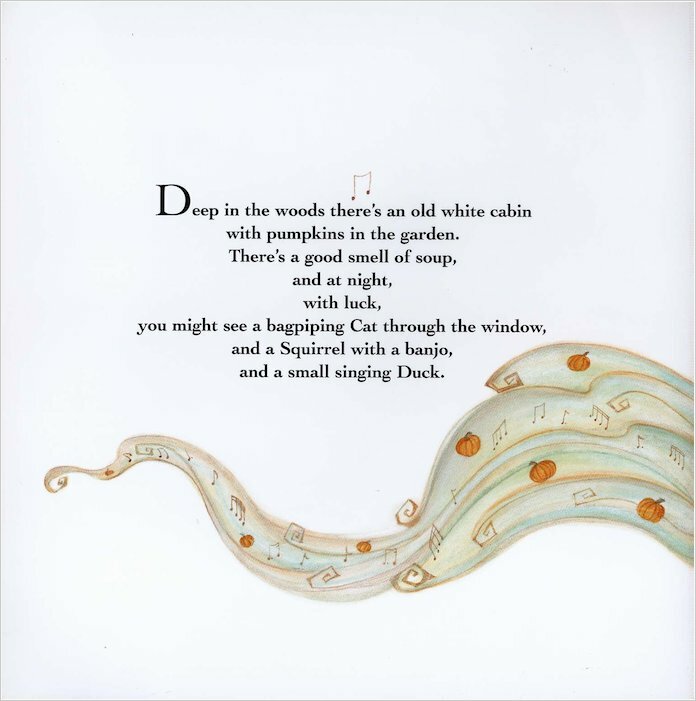 When his upset friends go out to look for him, can they bring Duck home to share the pumpkin soup again? 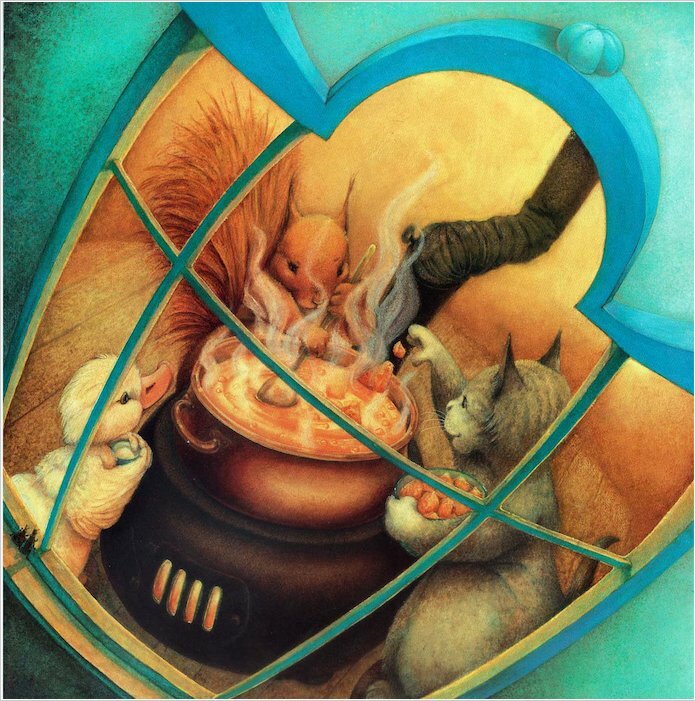 Brimming with warm autumnal colours and delicious aromas, this gorgeous story of friendship and sharing won the Kate Greenaway Medal for illustration. 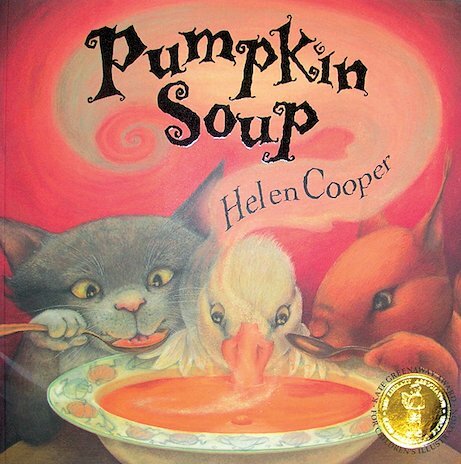 Helen Cooper has done an excellent job at both illustrating and writing this book as each character are truly hilarious and memorable and the plot is full of hilarity and emotion! 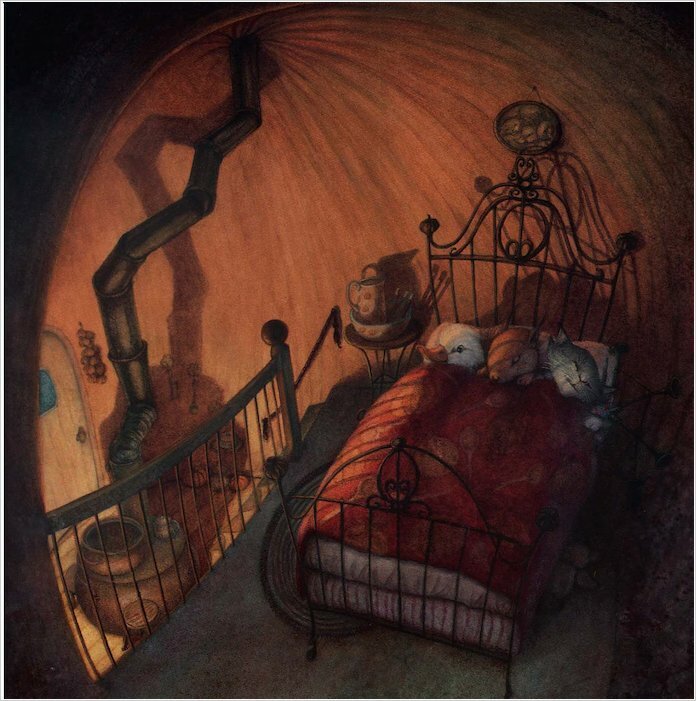 I really enjoyed the illustrations in the book. i love this book so much i hope all of you do to.